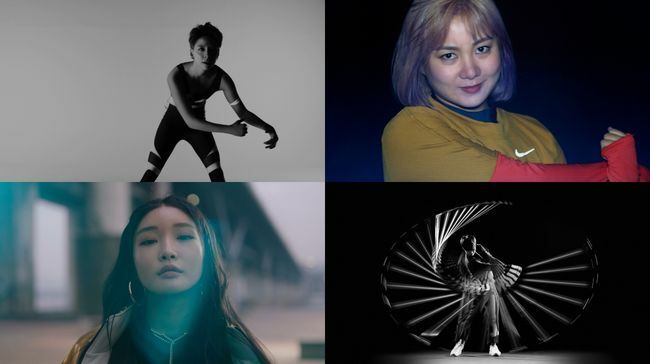 Artists BoA, Amber Liu, and Chungha, entertainer Park Na-rae, and professional golfer Park Sung-hyun participated in Nike Women’s latest campaign. On January 31, Nike launched 2019 Women’s Just Do It campaign to support ambitious women who believe in their possibilities and to encourage women to choose self-driven lives. As a part of the campaign this year, Nike introduced women in various fields who aspire to find the true value and energy against social stereotypes. In addition, BoA also participated as a narrator, conveying the message of infinite possibilities for women who believe in themselves. Launched by unveiling the campaign video, 2019 Nike Women’s Just Do It will be followed by various events that encourage women to express themselves through sports.